WCO can provide extract ventilation as well as allow the entry of natural daylight for most kinds of industrial and commercial buildings. Its top section provides maximum ventilation and this can also be used for emergency smoke extract ventilation, although it is not certified as a smoke ventilator. Two controllable side dampers provide day to day ventilation when it is raining. 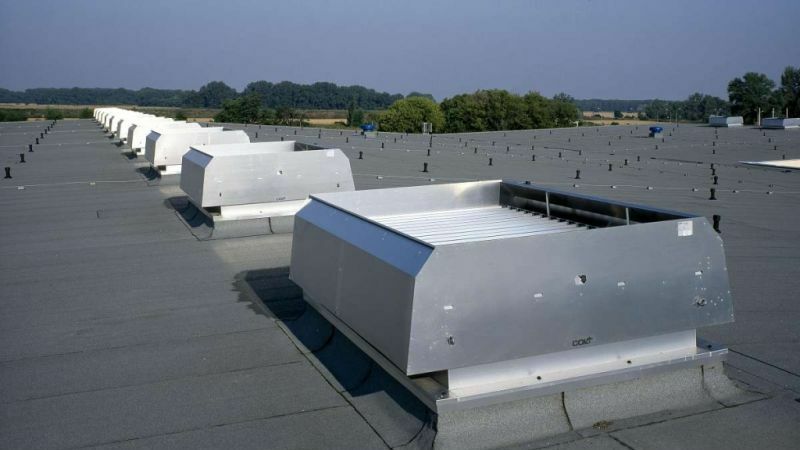 WCO louvred ventilators are well suited to most industrial and some commercial buildings. 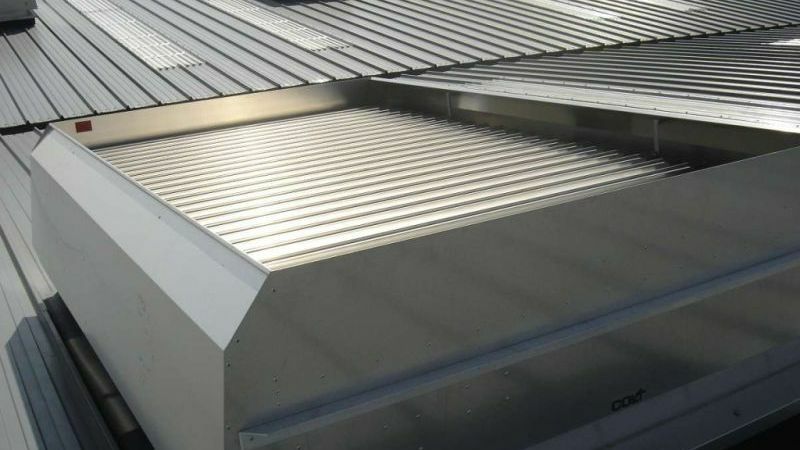 If rainy weather makes it necessary to close the top louvres, continuous weatherproof ventilation can be enabled by opening the side dampers. A wide range of applications - WCO can provide both day to day and smoke control ventilation, although it is not certified as a smoke ventilator. Various control options - The pneumatic control can be extended to incorporate a rain sensor, so that when it rains the top louvres automatically close and simultaneously the side louvres open. If used as a smoke ventilator, activation is either by a local thermal fuse which opens the unit at a pre-selected temperature, or by the controls responding to an external release signal. (Please note that it is not certified as a smoke ventilator to EN 12101-2). Durable - WCO is manufactured from tough, corrosion resistant aluminium alloy, grade 3005 in accordance with EN 573-3, with stainless steel fixings. Louvres pivot on double nylon UV- resistant bearings. It requires very little maintenance. Design service - Colt provides a pre-order design service. Please contact Colt for more information relating to the application, specification, installation or servicing of WCO. All principal components manufactured from corrosion resistant aluminium alloy grade 3005 in accordance with EN573-3, with stainless steel fixings. 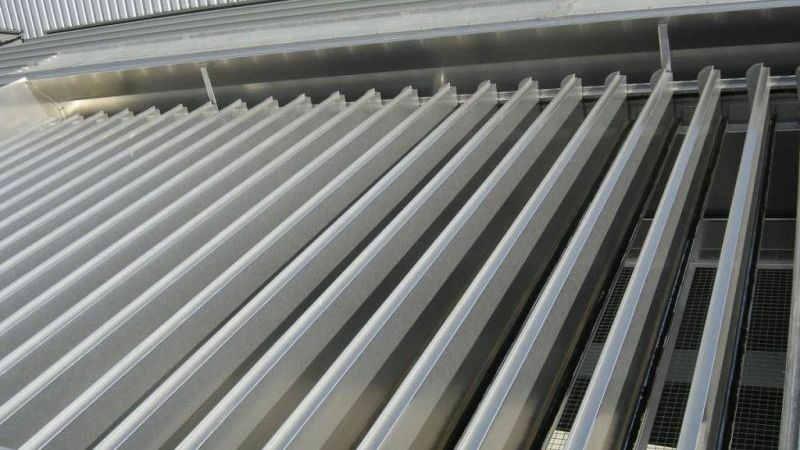 These louvres incorporate either low-loss brush seals (for aluminium louvres) or rubber seals (for polycarbonate louvres) to reduce air leakage when the ventilator is closed. The side louvres have the option for low-loss brush seals. For both electric and pneumatic versions, activation is either by double action locking mechanisms, or failsafe open / failsafe closed options. If used as a smoke ventilator, activation is either by local thermal fuse which opens the unit at a pre-selected temperature, or by responding to an external release signal. (Please note that it is not certified as a smoke ventilator). * In many cases a U value of at least 3.5 W/m²/K is required to meet local Regulations. This value can be achieved or surpassed if the ventilator is installed on an upstand which protrudes above the outer membrane of the roof. Colt can advise on this.